Now a Museum Show! Porsche has been synonymous with high quality, clever engineering, and impressive performance for over sixty years. In that time, the German company has produced some of the most amazing sports and racing cars the world has ever seen. 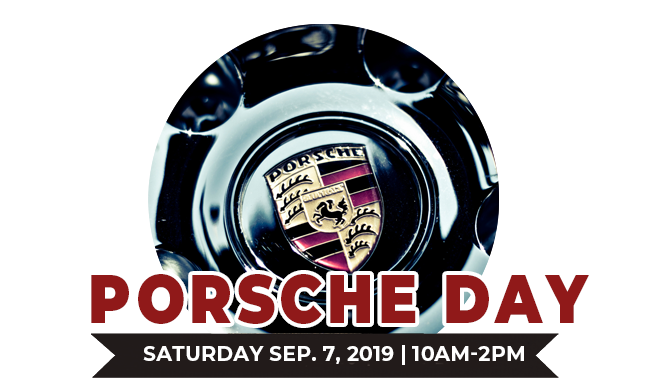 Air-cooled or water-cooled, front-engined or rear engined, all kinds of Porsches will be on the lawn for your enjoyment. Event Details: The show starts at 10am and runs until 2pm. Car registration is $20 per car and includes the driver and one passenger and $25 day of. Spectator admission is Adults, $10. Military, seniors, students and children 6-12, $5 and children under 6 are free. Museum Members are always free! The Museum is open for your viewing until 4pm. Museum Members are always free! For more information about becoming a member, use this link.